At this point we do not know what RC has told LE, what his thoughts are or what he knows regarding HaLeigh's case. He may not have been sitting on anything. Its possible that he has told LE all that he does know, assume, thinks. And I don't think that RC was ever charged with the Charles Jones road rage incident. I think that the pending case 542009CF001430XXAXMX 08/06/2009 is the fist to cuffs case with TC that happened at Ma Sykes in Welaka that he was jailed for and posted bail. Imho, I believe the plea agreement with the state in connection with unrelated drug-trafficking charges has more to do with HaLeigh's case. Yes I have been OS~trying to learn anything and everything about oil wells, relief wells, leaks, dispersants etc., and talking to anyone who I can find Sometimes I almmost feel sorry for them when I launch into my series of questions LOL. Listening to Levi show, Holly Hughes Pros. said it could be as simple as saving the state money going to trial, like $50,000.00. Guess we will find out at some point. Fields seem to think Ronald is going to testify against Misty, think Shoemaker mentioned that earlier too. Oh well 15 yrs. is a long time in a young person's life, (less time served I guess.) Still a long time. I just wish they would find HaLeigh. Makes me sick to think about this case and how evil someone can be. VELEZ-MITCHELL: Tonight, is Ron Cummings about to put the squeeze on his ex-wife Misty? Ron, whose little daughter, Haleigh, has been missing for nearly a year and a half, was supposed to stand trial today on a slew of drug-trafficking charges, but in a head-spinning development, Ron`s attorney announced they are this close to a plea deal now. So does this mean double trouble for Misty? Misty was baby-sitting Haleigh the night the 5-year-old vanished. Misty`s own lawyer says he believes Ron is cutting a deal in his drug case in exchange for testifying against Misty, who`s also facing drug charges that could land her in prison for decades. Straight out to Art Harris, investigative journalist and founder of ArtHarris.com. Art, is this really all about the drugs, or are prosecutors turning up the heat on Misty because they still think she could tell more about what happened to little Haleigh? ART HARRIS, INVESTIGATIVE JOURNALIST: They have squeezed this orange, and Misty says she`s been squeezed as far as it goes but that`s exactly what it is, Jane. They are trying to keep putting pressure on her. Actually, they have tentatively agreed to a plea deal with Ronald, but they will not sentence him until after Misty`s trial. She`s scheduled to go on trial there in Putnam County August 22. He`ll be back in court August 20. VELEZ-MITCHELL: Well, what`s the significance of him having to wait? In other words, they waiting to see what he says about her on the stand? HARRIS: Exactly. Part of this plea deal, pleading to three counts of 15 years versus a 25-year drug-trafficking charge, means that they want to wait and see how cooperative he is going to be in helping them in not just the drug case. They don`t need him for the drug case. They`ve got videotapes. They want him for Haleigh, anything he can do to help them there. They`re going to wait and see. And then they`ll sentence him after Misty goes on trial. VELEZ-MITCHELL: Back in April comes dragged Misty out of jail. They schlepped her down to the banks of the St. John`s River. Days later Misty`s grandma told me here on ISSUES what Misty had told her. FLORA HOLLARS, MISTY`S GRANDMOTHER: She called me on Monday to let me know that Tommy and Joe had wrapped Misty -- I mean wrapped Haleigh in a yellow rope and tied a brick to it and throwed [SIC] her off a dock in the St. John`s River. VELEZ-MITCHELL: Now, Tommy and Joe insist they did not do that, and neither of them have been charged with that. Nobody has been charged. Haleigh`s body hasn`t been found despite repeated searches. So Art Harris, was this all a big dead end? We were so hopeful when we saw this activity that we`d finally learn what happened in this mysterious case. 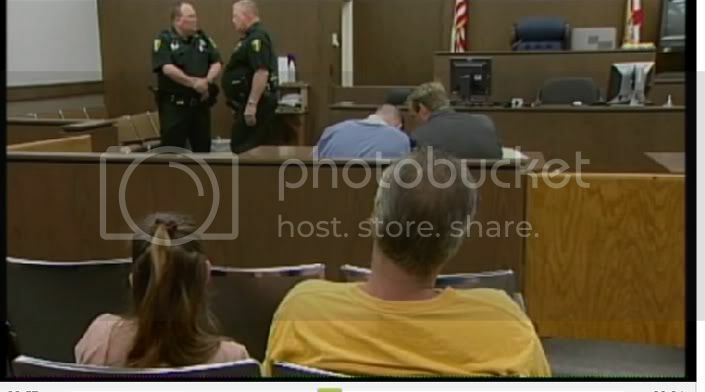 HARRIS: Well, at the time, Jane, Tommy told the cops that he was in the van with Joe when he took Haleigh, that he passed out, he was on drugs, taking Xanax, and he doesn`t know what Joe did with her but says he did dump her in the river. Now, no body has been recovered. And I know that law enforcement is very frustrated with Tommy, because he basically pointed out where they should search the river, and they didn`t find a body there, Jane. Now, anything could have happened to that body. It`s got swift currents. It`s got alligators. And we don`t know. They have not found the yellow rope nor that cinderblock. So this is something that is yet to be determined. They`re calling it a murder but don`t have a body. VELEZ-MITCHELL: It`s absolutely fascinating that this little -- little teenager has managed to really perplex and mystify all of these seasoned investigators and that we still do not have the straight story after more than a year and a half of what happened to this precious girl. Thank you, Art Harris. Come back soon. Just to let you know so you don't worry HaLeigh's case is not a cold case. PCSO is still actively working the case. 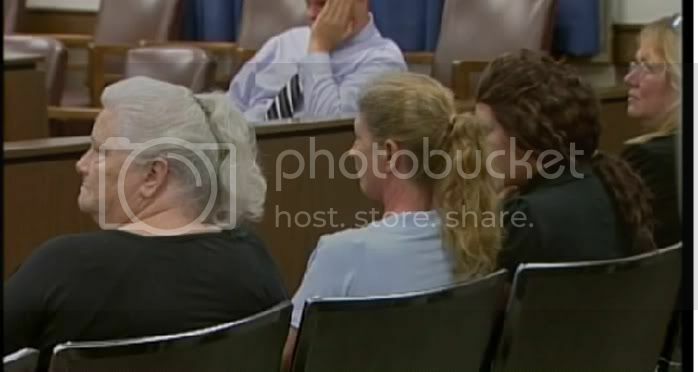 With Lisa and Hank in the court room today ( they looked so sad ) and them knowing that part of the plea deal for Ronald will be to testify against their daughter my hope is that they get this information to Misty. I also pray that when Misty finds out the years she will be facing she will make a plea deal and finally tell the truth about what happened to precious little HaLeigh and let the chips fall where they may. Guess we will find out in August. Ronald Cummings, father of the still missing –and presumed murdered — five year old named Haleigh, Monday agreed to plead guilty to three of five lesser felony drug trafficking charges, if Florida prosecutors will drop two other counts requiring 25 year mandatory sentences. “It takes a couple of bullets out of the worst case outcome had we gone to trial on all five charges,” his attorney Terry Shoemaker told The Bald Truth shortly after he joined the state attorney Monday in asking a Putnam County Circuit Judge Terry LaRue for another month to work out details of the plea. For Cummings, this means another 30 days in the Putnam County Jail. A hearing on the plea deal was set for Aug. 20, but any sentencing is expected to be postponed until his ex-wife, Misty Croslin, finishes her related drug trafficking trial, set to kick off Aug. 22. Teresa Neves has resided in/around Lake County for the past nine years. Her residence of record was Fruitland Park on Feb9, 2009. This trailer on Rita Lane has been listed in AS's name, Crystal (rc's sister) and rc's name. It has never been listed in TN's name. It has been reported that she officially put Rita Lane as her addy in March of this year. Better late than never. She never listed it before as her place of residence. The trailer must be owned by AS or another family member and sitting there on an illegal piece of land as the addy has no parcel. Check it out! you won't find one. TN had been living with her boyfriend jeff h. for years. Weren't they finally evicted in January this year? On Feb 9, 2009, the rita lane addy was listed in AS and CC's name. There is something shady about that place. When you think about it, why didn't TN go over to check on the kids on that fateful night? She got a call and sent "A family member" over to check on the kids....hmmm. My guess is she wasn't living on Rita Lane and was traveling back to Putnam after getting a call. 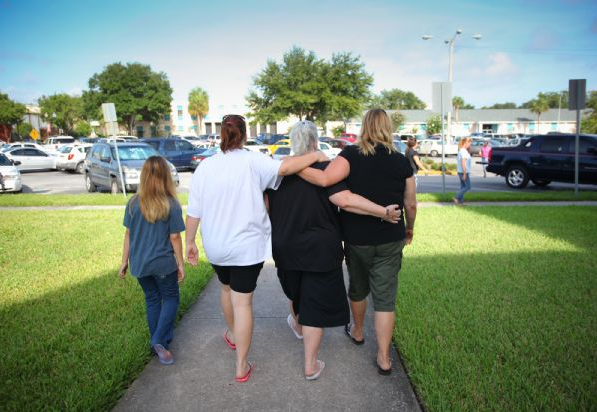 She lied to the LE on report about her addy and her job as she wasn't working for Gainsville (Alachua County Dispatch). She recently settled a car accident with a business man near Lake County. (.I think the car wreck was in 2008) close to where the incident occurred. If you check out the papers, you will see that all her doctors and Lawyers were not in Putnam County which also leads credence to her living in Fruitland Park.I am sorry to hear that anyone sent her money, but worse, I am sorry she accepted it. TY Brandi, that is the one I was talking about. Yes, flip-flops...not appropriate. What is your take on Merchant being in the court room?! Robert Fields said Cummings’ offer to make a plea in three of five drug charges in exchange for dropping the other two meant he will likely testify against Croslin, who was also arrested in the undercover drug bust. Croslin, 18, was watching Haleigh Cummings when the 5-year-old disappeared. In May, Shoemaker said he was pursuing a deal that would drop the two most serious charges so a sentence would reflect only the three less serious cases. Sentences are guided by the weight of the drugs sold. Two of the charges are for amounts of prescription drugs that carry a minimum mandatory sentence of 25 years. Two others mandate 15-year sentences and one requires a three-year sentence. Three other people, including a brother of Croslin and a cousin of Cummings, were arrested in the drug operation that ended in January. The fifth person was a friend of Croslin’s. They were arrested selling pills to an undercover officer during a monthlong investigation. Detectives with the Putnam County Sheriff’s Office have used the arrests in the drug cases to ask questions about the missing girl. Haleigh has not been found, and Putnam County Sheriff Jeff Hardy has said he believes she is dead. Fields said the questioning of co-defendants and the threat of them testifying against his client puts more pressure on Croslin but won’t have an impact on the defense. He said Croslin has told detectives what she knows about Haleigh’s disappearance. “If they don’t want to act on that, that’s their decision,” he said. Haleigh disappeared in February 2009. Croslin, who was at the mobile home and initially told investigators she woke up to find the kindergartner gone, later was married to Cummings for a brief time in the summer but the two divorced. Cummings’ mother, grandmother and sister were among those in the courtroom Monday. After the hearing his grandmother, Annette Sykes, said the family was hoping for the best. She said she was not aware of any plea details. “We want what’s best for Ronald,” she said. Page created in 8.757 seconds with 19 queries.